FrostburgFirst Welcomes the New Year! 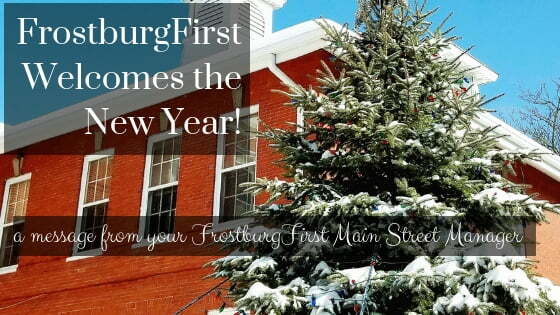 It’s a new year, and I’m excited to share what FrostburgFirst has been working on, and what our current and developing plans are for 2019! November was a great month for shopping small in downtown Frostburg! 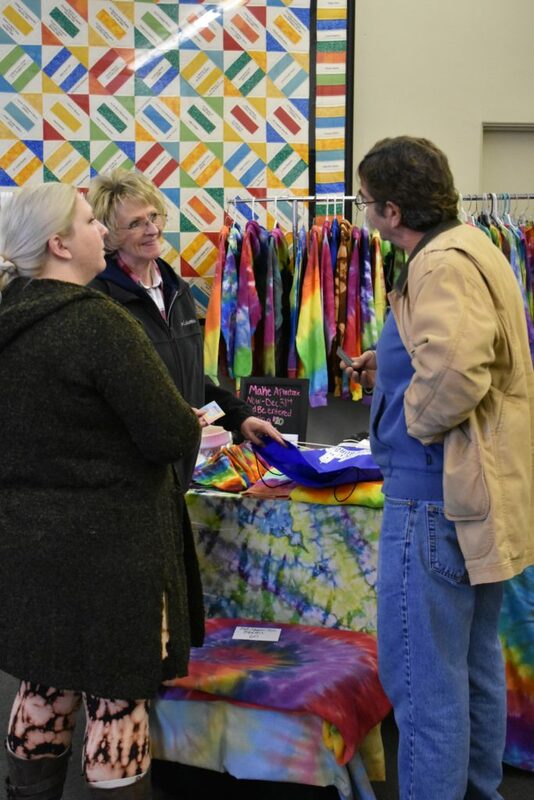 As part of the promotion of Small Business Saturday on November 24, FrostburgFirst implemented a month-long campaign featuring participating businesses, artisans, and local vendors with daily social media posts. The Tiny Bag Search returned with record participation and some great prizes donated by local businesses to support the #ShopSmall efforts. 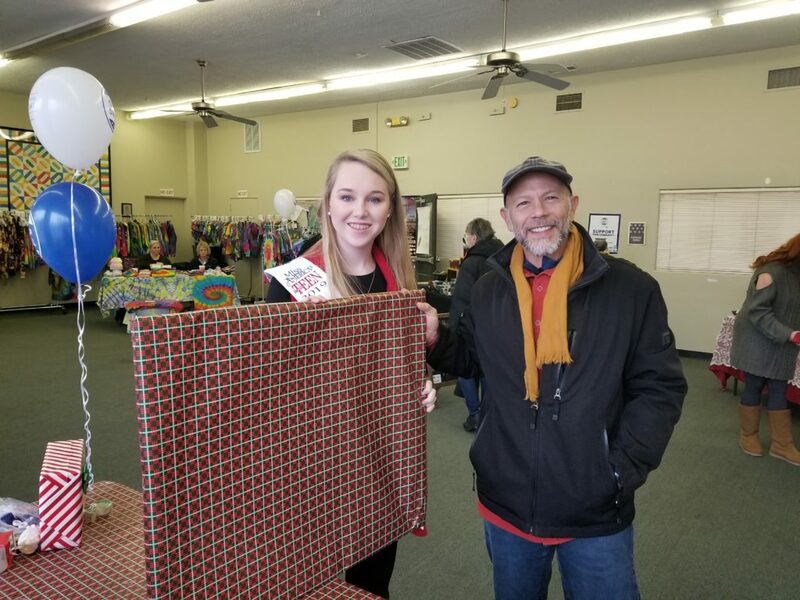 Thanks to the hard work of our intern Sidney Beeman and the assistance of local business owners, we also debuted several short videos featuring downtown businesses. 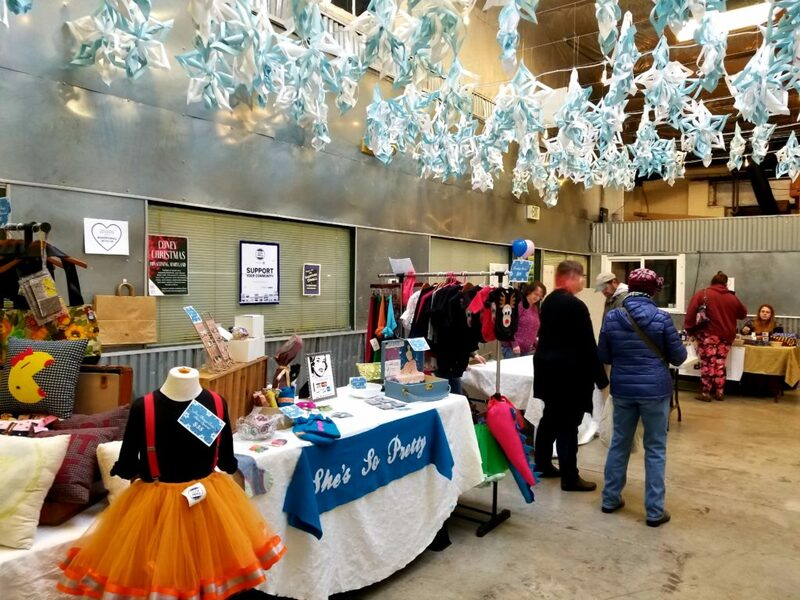 Despite the less than ideal weather conditions on the Small Business Saturday event day, most businesses still experienced excellent sales and our Handmade Holiday Fair saw over 200 attendees! Frostburg definitely showed its support of small businesses by coming out in such weather, and once again demonstrated what a special community it really is. December saw some great holiday events, including the 15th Annual Storybook Holiday sponsored by the FSU Children’s Literature Center, the City of Frostburg, and FrostburgFirst. Once again, despite a rainy day and a canceled parade, the event saw a great turnout! The Frostburg Lamppost Committee made the downtown look festive with the holiday wreaths and the Christmas tree in front of the new location of the Frostburg Museum on Main Street. Now let’s look to the new year! As an organization, FrostburgFirst is in the process of applying to attain a 501(c)3 non-profit status, which will allow us to open up membership to more of the community and create new partnership opportunities to help Frostburg thrive. 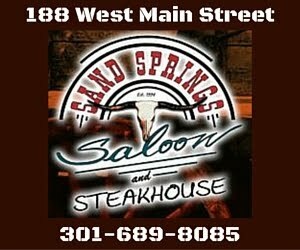 As a Maryland Main Street Program, FrostburgFirst is part of a state-wide and in fact, national organization focusing on the revitalization of Main Street and downtown districts. We are confident that this organizational change will allow us to more effectively pursue the goals set forth by Main Street Maryland and by our members and the Frostburg community. As always, we will keep our members and the community informed as new opportunities arise. We welcome any comments or suggestions during this process. A major undertaking between FrostburgFirst, the City of Frostburg, and the Arts & Entertainment District Committee is underway, with the 10-year A&E District Re-designation coming up in April 2019. FrostburgFirst is currently working with the Maryland State Arts Council on the application process, and it will be ongoing through March. We want to hear what you envision for your A&E District, so please share your ideas by emailing us at frostburgfirst@gmail.com or calling (301) 689-6900. Planning for Arts Walk 2019 on April 27 is starting, and I look forward to working with our local businesses and artists to make this a memorable event. 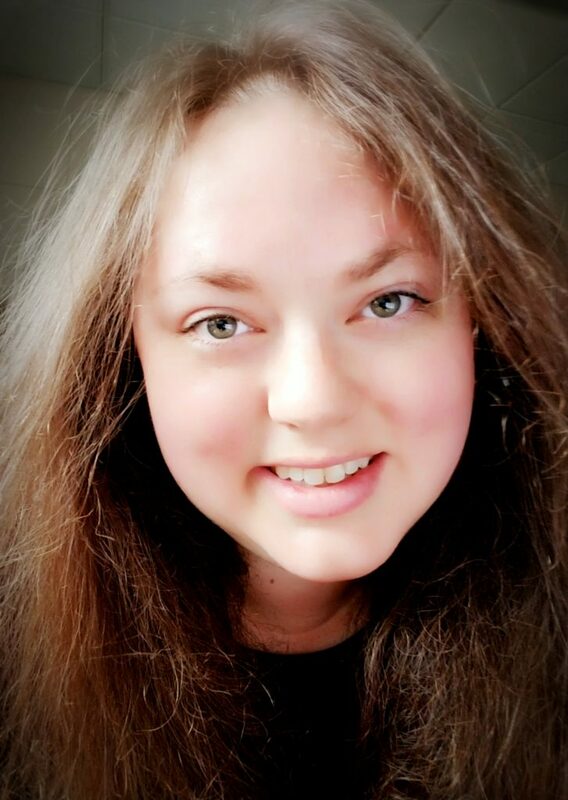 FrostburgFirst’s membership drive for fiscal year 2020 will also be getting underway in the coming months. So, as we move into 2019, consider how you can get the most out of FrostburgFirst’s services. By becoming a member or joining a committee, you have the opportunity to have direct involvement with FrostburgFirst events, provide input on organizational operations, proposed projects, and membership incentives, and increase the visibility of your business or organization in the Frostburg community and throughout the region. Contact the office to find out more! FrostburgFirst thanks you for your continued support, and I particularly want to thank the community for all the support for our Small Business Saturday! 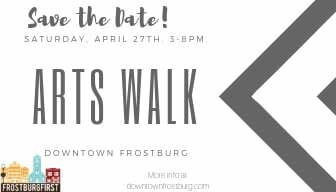 With your support, we can accomplish our mission of developing and fostering a prosperous, vibrant, sustainable, and resilient designated Frostburg Main Street Community.